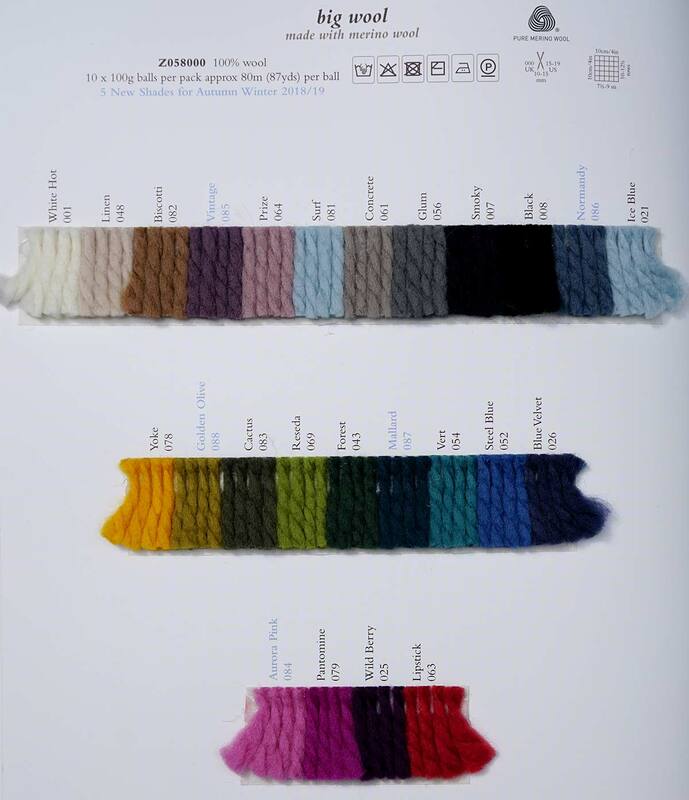 Yarn Type 100% merino wool. 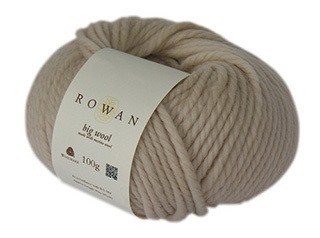 A pure merino, super chunky wool. Knits on a 15mm needle so immediate results are guaranteed. 9 designs by Martin Storey adding the perfect finishing touch to your home. Discover sumptuous designer throws and cushions inspired by mid century modern furniture and textiles. Photographed in an eclectic, Georgian interior. Slip stitch graphic cushions and throw; intarsia owl, enchanted forest cushions; simple to knit diamond lace throw. 8 stylish designs using Rowan Big Wool. A collection of five cable scarf patterns designed exclusively for Knitrowan using Rowan Big Wool by Martin Storey. You can purchase the patterns individually at £4 each (inc. VAT), or buy all five patterns as an entire collection here for £12 (inc. VAT). The single patterns are shown below. 8 designs by the Rowan design team knitted using Big Wool. 24 bright winter designs that targets the young, novice knitter looking to knit key fashion shapes and accessories using yarns: Big Wool, Alpaca Chunky, and Drift. Simple-to-knit, super-length scarves feature alongside oversized boyfriend sweaters, sweater dress, crop sweaters and beanie hats. The overall look is youthful, colourful, lively, bright & energetic. Knits that are both fashionable to wear and fun to knit. This mans chunky jacket uses Big Wool. Designed by Kim Hargreaves, it was originally featured in Next Big Thing. Glamorous, chunky cabled sweater uses Big Wool. Knit this loose fit, capped sleeve, textured stitch cardigan - ideal for wearing with a belt for a fitted look or just wear as an outer layer piece. Knit this men's chunky accessory scarf, a design from the Rowan archive originally featured in Rowan Knitting & Crochet Magazine 48. Designed by Martin Storey using our popular yarn Big Wool (wool,) this scarf has a chunky stitch detail and can be knitted as a long or short version. This free pattern PDF has been translated into German, Danish and Swedish. Knit these accessory cosy felted slippers, available as a free pattern to download. Designed by Sarah Hatton using one of our most popular chunky yarns Rowan Big Wool (wool), this is the basic slipper pattern and can be customised to your hearts content. Why not try adding creative embroidery or crochet trims or even pom poms, buttons or bells, the opportunities are endless! Knit this mens winter sweater in big wool with snowflake intarsia detail and over stitch finishing. Designed by Marie Wallin, it was originally featured in Magazine 40.